How many likes do Clinton and Trump receive? Who gets more Angry, or Sad reactions on their Facebook pages? What is the most exciting post that yield Love or Wow reactions? 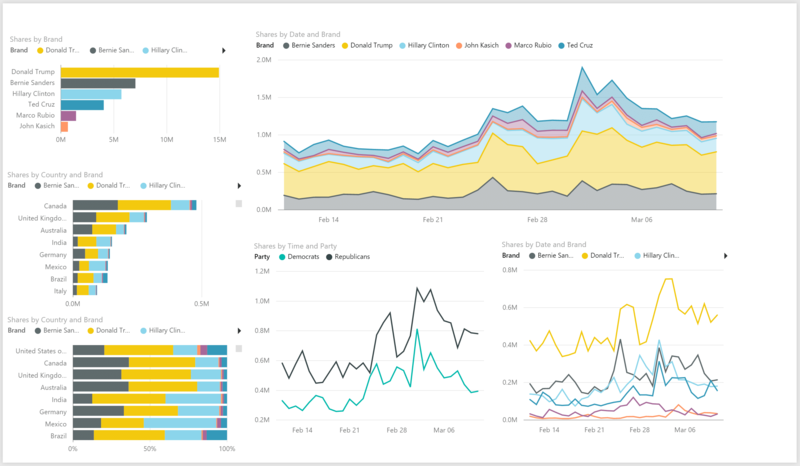 As the war drums of the US presidential race are beating stronger, and both candidates are racing against each other for more votes, I decided to take the challenge and prepare a Power BI dashboard that measures the reactions to Clinton’s and Trump’s status updates on Facebook. Can you guess who gets more Love, Haha, Wow, Sad and Angry reactions? Earlier this year, I shared with you a dashboard that analyzes Clinton’s and Trump’s Facebook Pages. 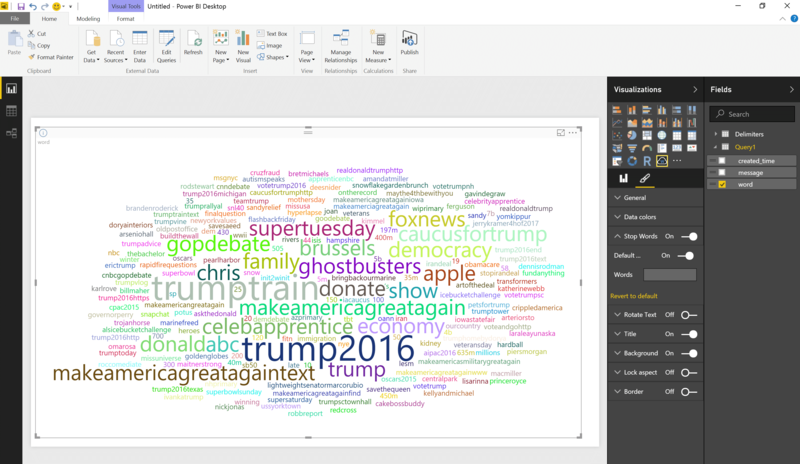 In my posts here and here, we created a Word Cloud that shows the most popular words on their wall. In another series of posts here, here and here we analyzed the candidates’ overall engagement rates on their Facebook pages by time and country. It was an exciting analysis which could allowed us to examine the candidates’ impact on different immigrant groups. Recently we have learnt here how to import Facebook reactions from our own posts, but if you will try it on high volume Facebook pages, you may end up losing your patience as the import could takes hours. Yesterday, after a long research, I have found a method to load the Facebook reactions from high volume pages in less than 10 seconds. But for the time being, I will keep this method as my secret recipe. Expect to learn more in the near future. So what can you do with this dashboard? Slice the data by specific candidate or Facebook reaction. Navigate to the Clinton’s or Trump’s posts with the highest Love, Wow, Haha, Sad or Angry, reactions. Review the reaction for the last 100 posts of each candidate, find trends and peaks. Get a summary of total reactions and the average reactions for a single post. Get the reaction rate side by side. Here is an example for an insight on the following question: Who gets more Love clicks: Clinton or Trump? While 423K users clicked Love on Trump’s posts since June 7th, Clinton got only 323K Love clicks. But Clinton received higher rate of Love clicks (The count of a specific reaction, divided by the count of all the reactions for a specific candidate), and for every person who reacts to her posts, she “doubled the chances” to get a Love reaction compared to Trump. You are welcome to share this link to promote Power BI and the thrill of the race. This dashboard can be adapted to measure any Facebook page and compare multiple brands without any special permissions. You are welcome to subscribe to DataChant below and share your challenges in the comments below.